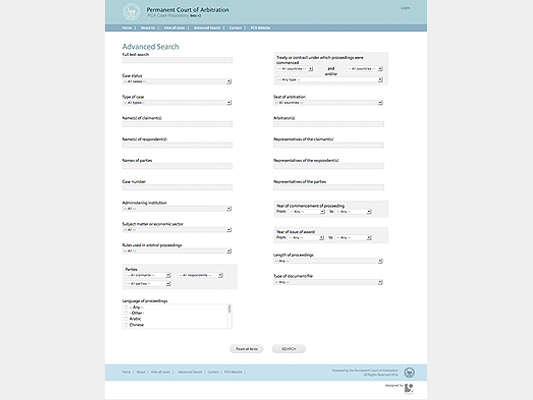 9th Insight developed a custom content management system for PCA to upload arbitral cases. 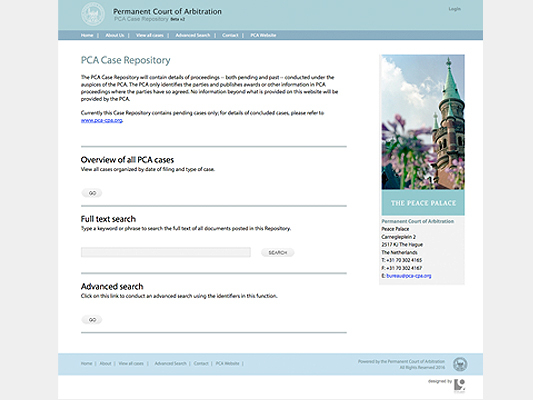 The PCA Case Repository contains details of proceedings — both pending and past — conducted under the auspices of the PCA. The PCA only identifies the parties and publishes awards or other information in PCA proceedings where the parties have so agreed. No information beyond what is provided on this website will be provided by the PCA.